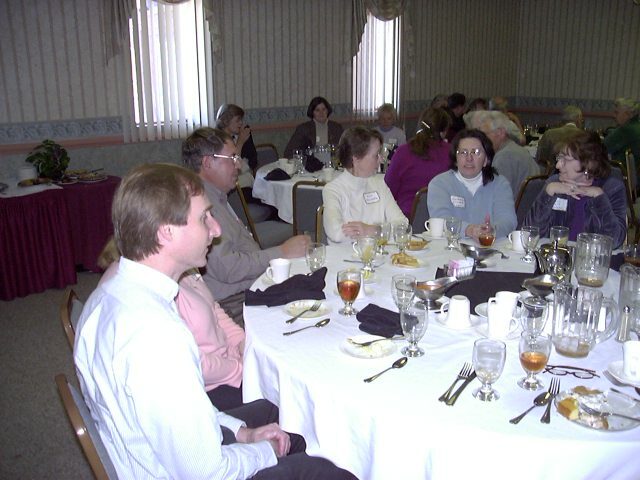 The 12th Annual Meeting of the Coalition to Protect Maryland Burial Sites was held on April 12, 2003, at the Clarion Hotel and Conference Center in Hagerstown, MD. The Board held its business meeting beginning at 9:00 a.m. President Kraske announced that the remaining Board Meetings for 2003 will be held on July 27th and October 25th at the Miller Branch of the Howard County Library. Times will be announced at a future date. The Cemetery Preservation Kit is in the process of being rewritten. A copy was passed around for the members to see. Leonard Becraft resigned as Director and was presented with a certificate of appreciation and parting gift for his work as a Director. There are currently 117 members of the Coalition with 5 new members this quarter. 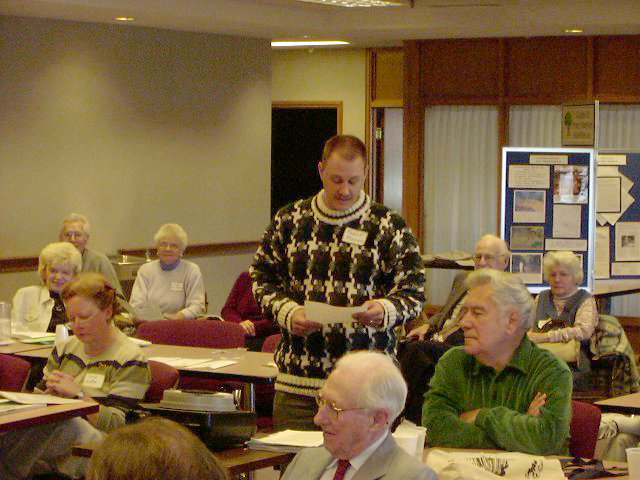 Jim Trader gave his Legislative Report. The Coalition Board felt it was prudent not to lobby in Annapolis this session. Barbara Kraske has volunteered to help with Family Remembrance Week of May 25th through May 31st. 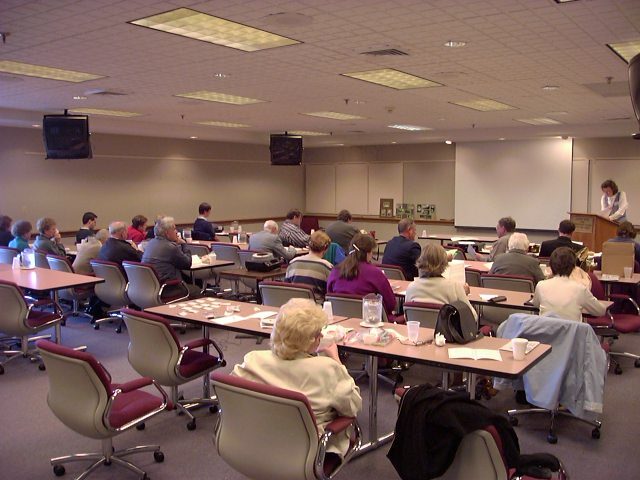 There were approximately 55 attendees at the Annual Meeting. Immediately following the adjournment of the business meeting, Ed Taylor, Jr. called the slate of officers: Jean Keenan and Gary Kraske were elected as the Secretary and Treasurer respectively. Kristin Kraske and Ed Taylor will continue in their positions as President and Vice President and Ann Bolt, Dottie Brault, Melvin Mason, and Jim Trader will continue as Directors. 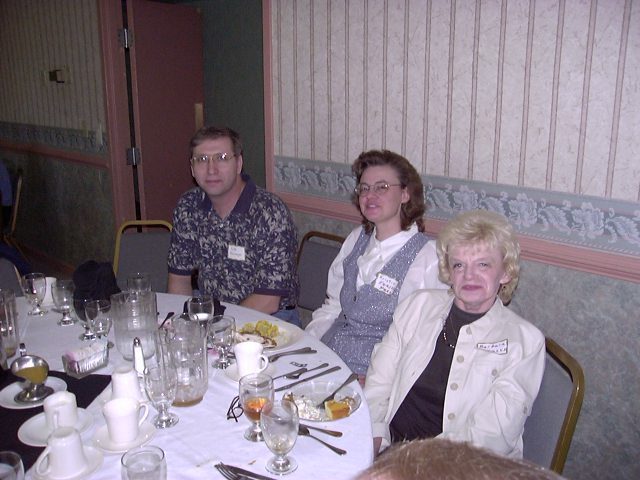 At the conclusion of the elections, Jim Trader introduced the 2003 winners of the Periwinkle Awards. The Coalition chose three winners this year. Jean Keenan accepted the award on behalf of Barbara Sieg for the Master Gardeners of Howard County. Ann Bolt accepted the award on behalf of Dorothy Murray Brault and the Chevy Chase Chapter NSDAR for their work at the Higgins Cemetery, Montgomery County. Ben Will received the award for his work at the Gosnell Family Cemetery in Howard County. The first speaker of the day was Robert Mosko of Jorden’s Dad Restoration and Repair. 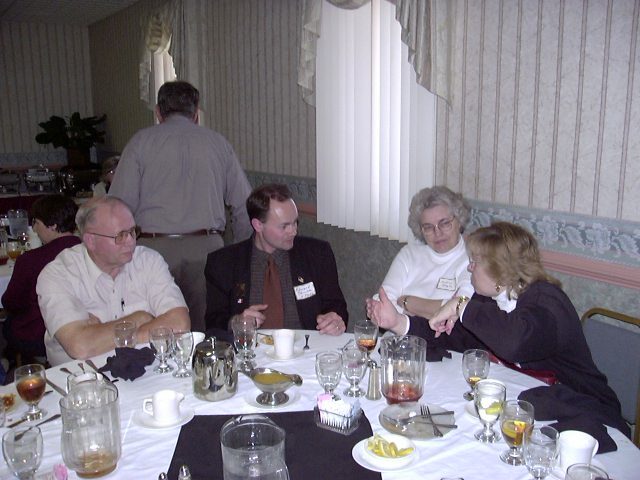 Robert, a member of the Coalition, discussed his pending projects for Washington County. He included slides of several cemeteries that he has surveyed. At the conclusion of Robert’s talk the group adjourned to the Tortuga Restaurant for lunch. 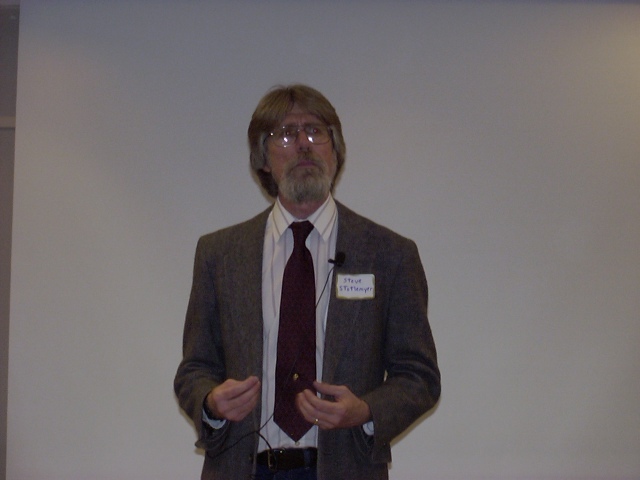 After lunch Steve Stotelmyer discussed the burial customs of the battle fatalities of the Civil War. The talk and slide show focused on the research he conducted for his book “The Bivouacs of the Dead, The Story of Those Who Died at Antietam and South Mountain”. At the end of Mr. Stotelmyer’s talk the group went to Rose Hill Cemetery and were treated to a tour led by Steve Bockmiller. Steve walked through the cemetery stopping at various graves and discussed the residents who had fought in the Civil War. Steve ended his talk at the Washington Confederate Cemetery (located within Rose Hill, or is Rose Hill located within the Washington Confederate Cemetery?) where Mr. Stotelmyer showed us the burial ground for the Confederate dead from the Maryland Campaign of 1862 that he had discussed during his presentation. Steven R Stotelmyer is a native of Hagerstown, Maryland. As a child he and his sister played among the monuments at Antietam National Battlefield during the many family picnics to the Philadelphia Brigade Park. When he graduated from high school in 1968, Mr. Stotelmyer enlisted in the United States Navy and served as a radar man on a destroyer. Returning to civilian life, he earned a Bachelor of Science degree from Frostburg State College and a Masters of Arts from Hood College. He is currently employed by a civil engineering firm in Charles Town, West Virginia. 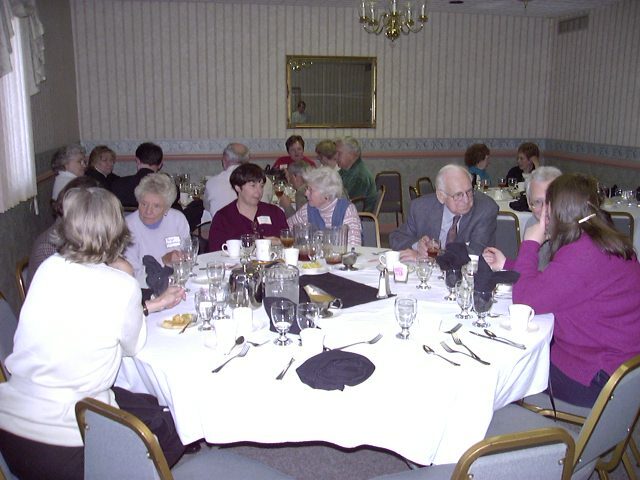 Always interested in local history, especially South Mountain and Antietam, Mr. Stotelmyer helped form the Central Mary-land Heritage League in 1989, The League has been successful in acquiring land on the South Mountain Battlefield, an area often overshadowed by Antietam. In 1992 he published “The Bivouacs of the Dead,” the story of those who died at Antietam and South Mountain. He has also written maga-zine articles on the Civil War in Western Maryland.